John Wilson continues with another recording for the series in which leading artists discuss the album that made them or changed them. Recorded in front of a live audience at the BBC's iconic Maida Vale Studios, each edition includes two episodes, with John initially quizzing the artist about the album in question, and then, in the B-side, the audience asks the questions. Both editions feature exclusive live performances. 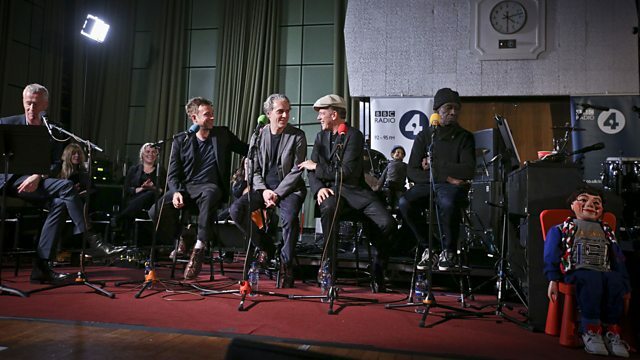 Having discussed the making of the 2007 album that gave them their name, "The Good, The Bad & The Queen" (in the A-side of the programme, broadcast on Monday 11th December 2018 and available online), Damon Albarn, Paul Simonon, Tony Allen and Simon Tong responds to questions from the audience and perform live versions of their follow-up album, 2018's "Merrie Land".